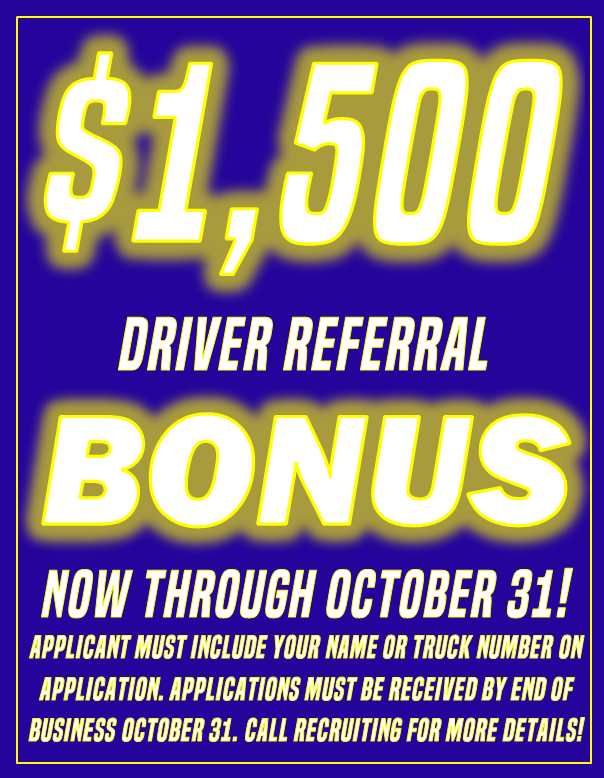 $1,500 Driver Referral Bonus through October 31st! 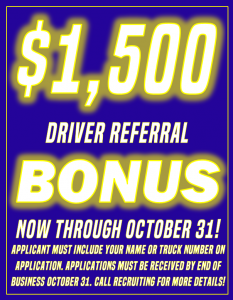 | Freymiller, Inc.
$1,500 Driver Referral Bonus through October 31st! From now through October 31st, we have raised the Driver Referral Bonus to $1,500 for solo drivers!!! Yes, $1,500! We also increased the Referral Bonus for Company Teams to $2,000 and are still offering $500 referral for a half team (example: husband brings wife to run as team). Call Recruiting for more details!